One of the most significant academic assignments every student has to perform during his study is the argumentative essay. This writing genre requires a scrupulous topic investigation, gathering and generating the authentic information, setting a certain position toward the topic. The writer is to defend his position in a precise and strong manner. In fact, argumentative essays are much like expository essays yet including invention and research difference. This type of work is not only long but also implies much and skillful research. Expository essays, meanwhile, are much shorter and don’t require that much research work. Making accurate research is mandatory for having decent results. A student has to perform extensive research work to examine previously published materials, interviews, experiments, observations, and surveys to extract empirical information. Acknowledging the whole material and the essence of the topic, the student becomes able to choose a certain position and support it with solid evidence, as well as refute other approaches. The thesis a student states should be established distinctly and followed with exceptional sound reasoning. 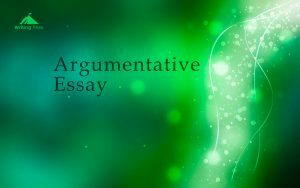 The structure of an argumentative essay is much like that of other essay types. The Introduction, Body, and Conclusion are the parts of the essay. Here are several argumentative essay writing tips on each part of the work that will help you get the results you anticipate. The first part of the work, the introduction is to present the topic from a general point of view, explain the importance of the research made and give the thesis statement. If you want to write an argumentative essay efficiently, start with your thesis. The latter should be concise and clear, accurate and defined. Make sure your thesis is narrowed to your point of view. Remember, that without having an impressive thesis statement, achieving an efficient argumentative essay is simply impossible. Giving a glance to efficient argumentative essay examples, you will quickly notice how logical and clear all the transitions between the introduction, body, and conclusion, as well as between all paragraphs separately are. If you want your readers to follow your argument, a logical progression of thoughts should be kept. For this, wrap the idea of the previous section and present that of the section to follow the current one. All body paragraphs should be saturated with evidence and proves. All of them should be directed to the thesis statement. Moreover, depending on the length of your argumentative essay, you may have to devote a couple of paragraphs directly to supporting the thesis. Anyway, besides this, your work is to discuss diverse opinions and points of view related to the topic. All of them should be refuted not by just stating they are wrong outright, but by proving they lacked evidence or were outdated. For an effective conclusion, simply restating the thesis statement will be far not enough. This should be readdressed in consideration of the provided evidence. Surely, most students find this particular part the most complicated as it is this part that will leave the most actual impression on the readers. Hence, it’s crucial to make the conclusion as logical and effective as possible! You’d better synthesize the presented information and not bring forward any new information. And even if you have already addressed to the importance of the thesis for a certain sphere, it’s crucial to detail it here, in the conclusion. Performing this type of assignment is quite a complicated task. If you don’t approach it seriously by devoting enough time and efforts, you’ll hardly achieve any success. However, if for some reason you don’t feel like coping with it on your own, there is always an option to entrust the task to professionals. Regardless argumentative essay topics, you can find an expert writer and assign him “write my argumentative essay”. The key here is to find a truly reliable writing service.